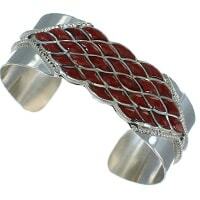 Mens bracelets can say so many things about the person who is wearing them. Strength, courage, honor, tradition and loyalty are just some of the sentiments a finely-crafted turquoise mens bracelet can evoke. 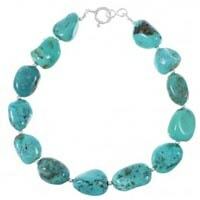 Different gemstones also give insight in to one's unique personal flair and style. 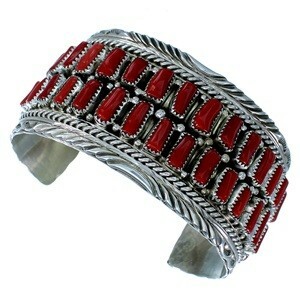 At SilverTribe, we understand how important the message that Native American bracelets for men sends. 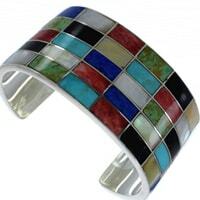 That's why we offer more styles of turquoise, Native American and southwest mens bracelets than any other retailer online. 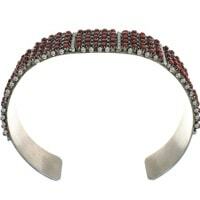 Whether your style is contemporary, conservative, clever or classy, SilverTribe's vaults hold mens bracelets for everyone. Here at SilverTribe, we strive to offer the widest selection of high quality turquoise, Native American and southwest bracelets for men. There are dozens of different stones to choose from, including turquoise, coral, opal, onyx, howlite, lapis, malachite and oyster shell. 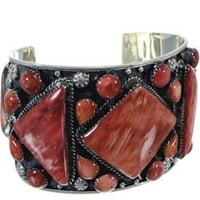 Beaded, chain, cuff and link bracelets are just some of the dozens of styles you can choose from. 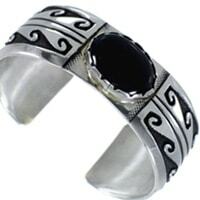 In addition, collectors will undoubtedly be impressed by SilverTribe's vast collection of Native American bracelets for men. Each Native American bracelet for men is finely crafted by some of the most well-known and respected artisans in the country today. The pride that each artist takes in making these mens bracelets will be on display each time the piece is showcased on your wrist. While you will be mesmerized by the sophistication of each turquoise mens bracelet, you will certainly be ecstatic over the price. 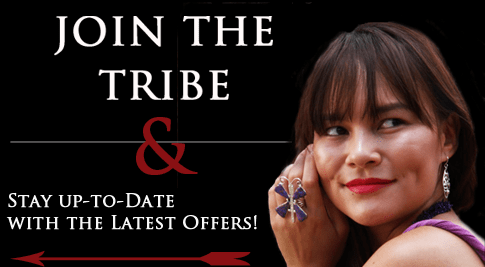 There are Native American, turquoise and southwest bracelets for every budget, and SilverTribe's instant discounts make it easier and cheaper than ever to add to your personal collection. 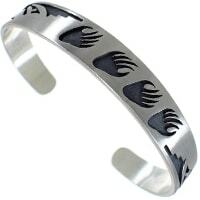 Why Buy Mens Bracelets from SilverTribe? 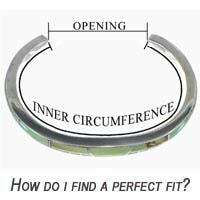 So why should you purchase turquoise, Native American or southwest mens bracelets from SilverTribe as opposed to other online retailers? 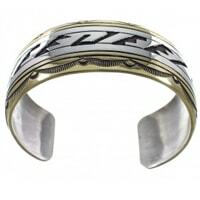 For starters, the largest selection of mens bracelets online can be found right here at SilverTribe. 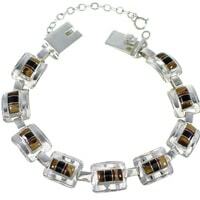 There are hundreds of different styles of mens bracelets to choose from. Each of the turquoise, Native American or southwest bracelet for men housed in SilverTribe's vaults is uniquely hand-crafted and its authenticity is guaranteed. When you're considering buying mens bracelets from SilverTribe, remember to sign up for the exclusive email list. Those who do so will be the first to receive news about sales and huge discounts on mens bracelets. In addition, be sure to share SilverTribe deals with friends and family on Twitter or Facebook and receive even more discounts! 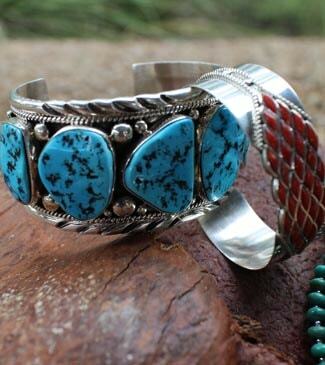 With free shipping and prices 50% off, SilverTribe is the only place to get turquoise, Native American and southwest bracelets for men!